After clicking on a malicious ad, an Oahu man found himself the victim of a ransomware attack. The man clicked on the ad, to immediately have his files be encrypted by the cyber criminals. 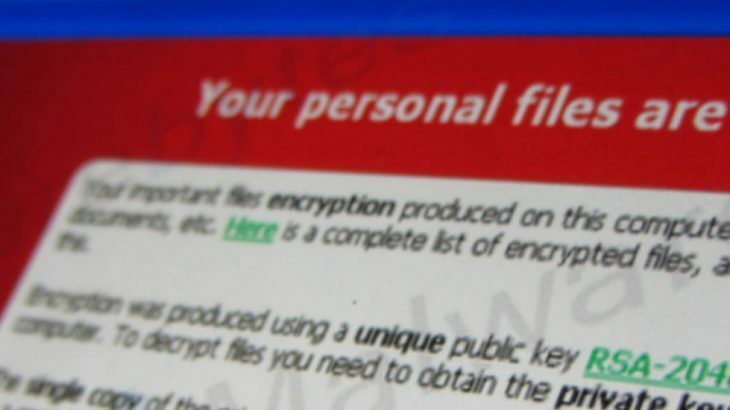 The ransomware message from the hackers, displayed a support phone number for the victim to call to have his computer “fixed”. He did so. Upon gaining access, the hackers asked the man to log into his bank account. Again, he did so. The hackers was claiming they were refunding the man for membership fees, but had refunded him too much. The hackers then asked for the man to refund them $599, in iTunes gift cards. The victim did so. Why? The victim was under the impression the man he was speaking with, was affiliated with a business he had a relationship with. It wasn’t until the hacker reached out to the man again, stating the original iTunes cards weren’t working, that he realized it was a scam. The hacker demanded the man send another $599, and the victim refused. The victim attempted to go to the Better Business Bureau and file a complaint, but when he tried filling out the form, all of his text was being deleted. The hackers still had control of his PC. Use adblocking technology. The attack listed above could’ve been prevented by an adblocker. Implement a security solution with application whitelisting technology. When malicious executables attempt to run on your PC, they will be scanned in real-time to determine if they are whitelisted, or known safe files. Since malware would not be a known safe file, it will not be able to execute. Disable macros. Scammers are inserting malware into various documents, and require macros to be enabled for the ransomware to run. By disabling macros, you can prevent these attacks. Ransomware, Ransomware Reports, RansomwareWar, TechTalk Slider ransomware, ransomware attack. permalink.